As Ruby reminds me, this is not about a man who becomes an ant, but rather a burglar who reluctantly takes part in a larger plot to save the world by donning a suit that allows it’s wearer to shrink to the size of an ant. Paul Rudd who most of us know as the funny guy from Judd Apatow’s films like Knocked Up and This is 40, plays Scott Lang, a small time burglar who gets out of jail and needs to earn some money to help him get some custody of his young daughter. He teams up with his old prison buddy -0- Michael Pena in the best comedic form of his career, and before long they are working with Biophysicist and Security Operations Center expert Dr. Henry ‘Hank’ Pym – Michael Douglas, who has kept the recipe to his particle shrinking formula to himself for a few decades. 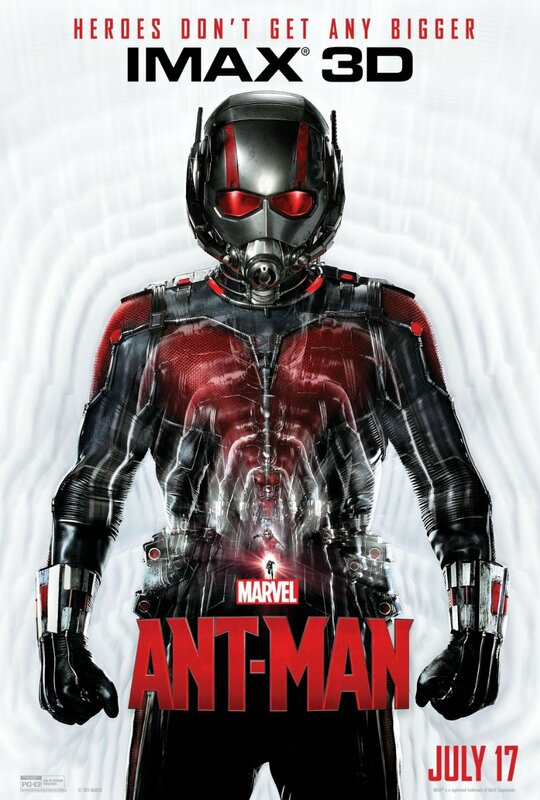 The strength of this film lies primarily in the performances from Rudd, Corey Stoll as bad guy Darren Cross aka Yellow jacket, Evangeline Lily as Hank Pym’s neglected daughter Hope who we will see more of as Wasp in the next instalment. The cinematography when we first see Lang turn into Ant Man in a bathtub is glorious. It’s not your typical superhero movie, but follows many of the common themes. The key ingredient in the mix is comedy and there are heaps of laughs. There’s plenty of Avengers and SHIELD crossover in this film so pay attention. Lots of F-Ant-Astic fun.